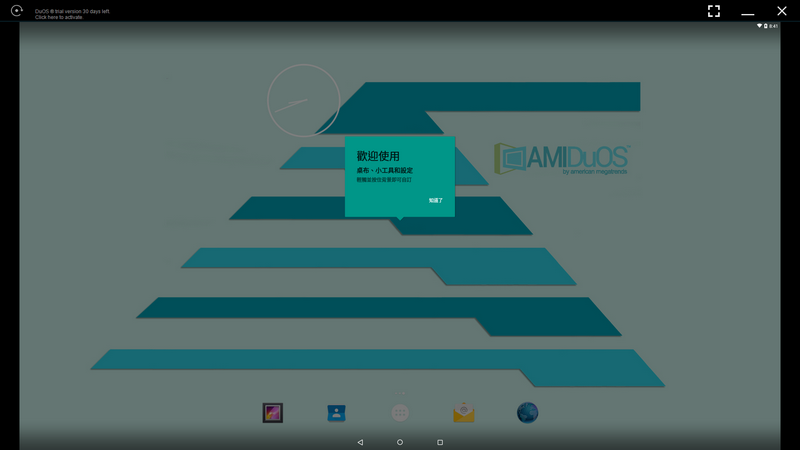 Run Android™ Apps in Windows® with AMIDuOS. AMIDuOS is a revolutionary new concept that brings the functionality, depth and fun of the Android experience to Microsoft® Windows devices. It runs on nearly any Windows® 7/8/10 PC or tablet device for fast, easy switching between Windows and Android environments - without the need to dual boot!